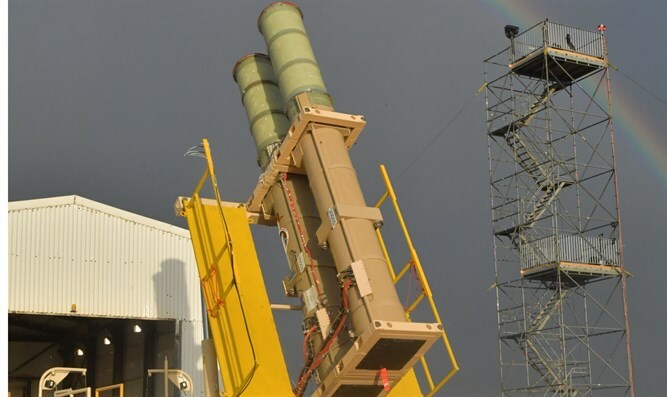 Test of Israeli-US missile defense system succeeds, paving way for future ballistic missile defense network. Israel and the United States conducted a joint missile test Tuesday morning of an anti-ballistic missile system. Designed to intercept and destroy long-range intercontinental ballistic missiles in space before they reenter the earth’s atmosphere, the Arrow 3 missile system was developed by Israel and the MDA. The test launch took place at a testing area in central Israel, and was hosted by Israel Aerospace Industries. During the test, a target was launched, identified by the Arrow 3’s detection system, an intercept vector calculated, and the Arrow 3 missile launched to intercept the target. Defense officials say the Arrow 3’s success paves the way for the creation of a national missile defense network, capable of intercepting medium and long-range ballistic missiles – including missiles used as delivery systems for weapons of mass-destruction.